Then Say "Alexa, Open My NEVERDIE Wallet"
to imortalize your gaming legacy. We’re reinventing the way you play games by introducing MONETIZED interoperable skills, attributes & items that carry through all the games you play. While other blockchain gaming platforms focus on facilitating the exchange of digital assets that still can only be used in their game of origin, the NEVERDIE ecosystem provides developers with a formula to create interoperable MONETIZED assets that are balanced to be utilized across multiple games. 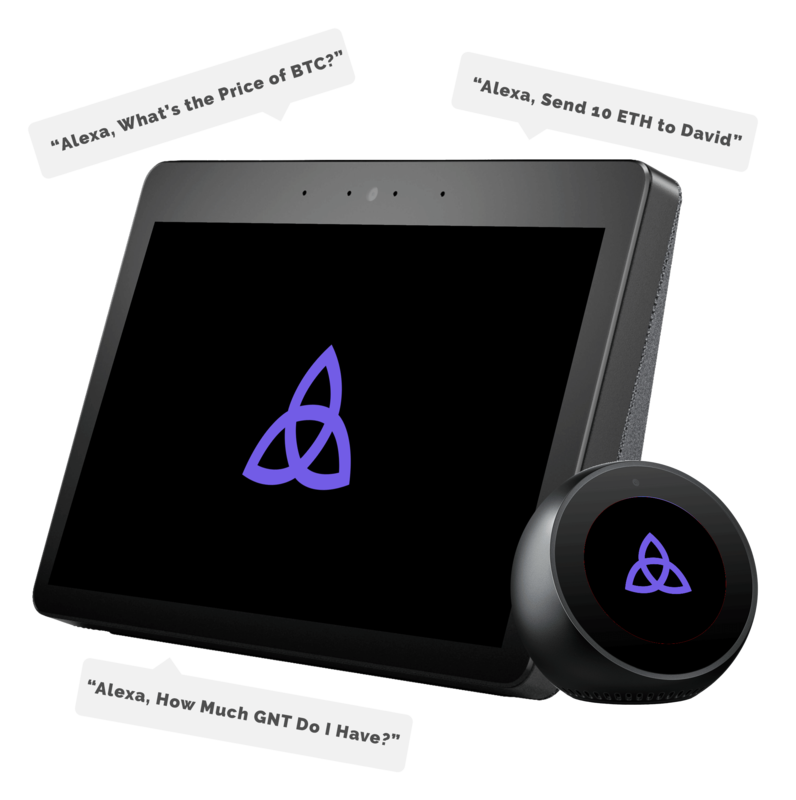 The NEVERDIE Coin & Teleport Token systems provide infrastructure for an inclusive blockchain ecosystem to drive a trillion dollar virtual goods economy & gamefied jobs. 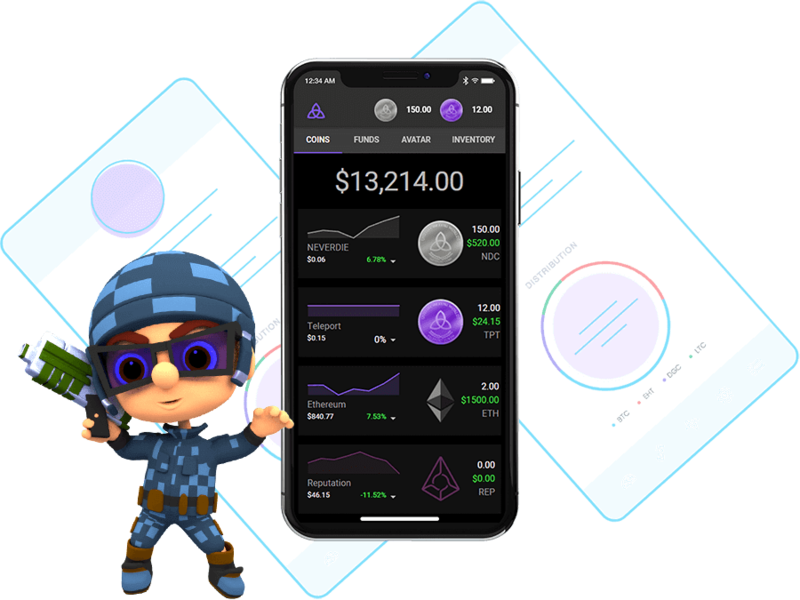 Safely & securely manage your cryptocurrencies and blockchain gaming assets from a single wallet. 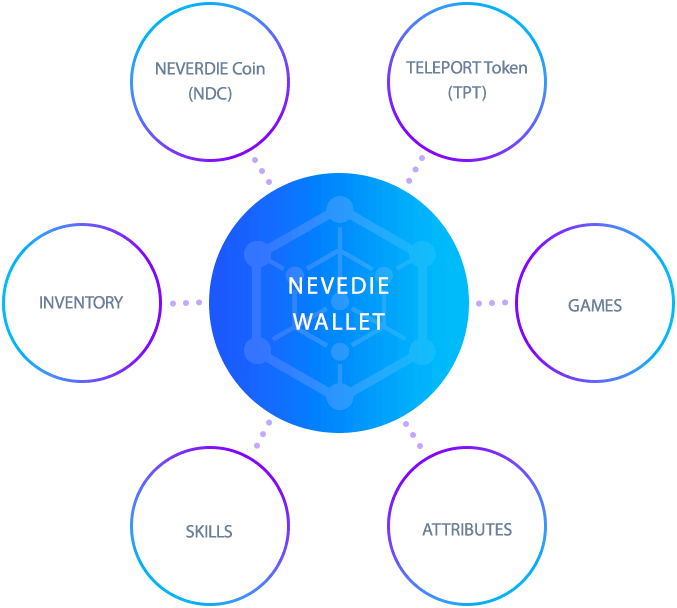 The NEVERDIE wallet acts as your Blockchain Avatar storing your currency, attributes, skills & inventory. This enables games to instantly engage with you by evaluating and updating your skills, validating items for use, sending loot and seamlessly importing items into other games. As technology & medicine advance exponentially the possibility for significant life extension or even the uploading of your conciousness becomes more likely. All Active NEVERDIE wallet accounts that participate in the NEVERDIE ecosystem are automatically enrolled in a free policy program that will make monthly token payments to your address one the address one it reaches 50 years of maturity. Play Dragon King & discover how the NEVERDIE Coin & Teleport Token are utilized while competing against other players to with ETH. Earn a variety of MONETIZED Skills & Attributes as you progress. Dragon King is fully compatible with the NEVERDIE Wallet. ROCKtropia is a large scale real cash MMO where all monster deaths are accounted for and tracked in the NEVERDIE Wallet. Having A NEVERDIE Wallet allows you to earn NDC through other players gameplay. 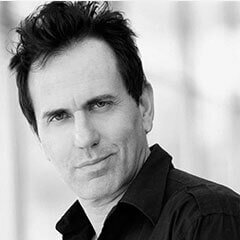 The NEVERDIE Advisory Team are globally recognized as pioneers and trendsetters in gaming, media and technology. Inside Entropia Universe he created the iconic avatar NEVERDIE and he became the first gamer to make a million dollars inside a Virtual World. Jon’s Club NEVERDIE made the 2008 Guinness Book of World Records as the most valuable virtual item. Jon founded NEVERDIE Studios and has worked with Michael Jackson, Lemmy and Universal Studios bringing KING KONG, ZOMBIE KONG and The THING to Virtual Reality. 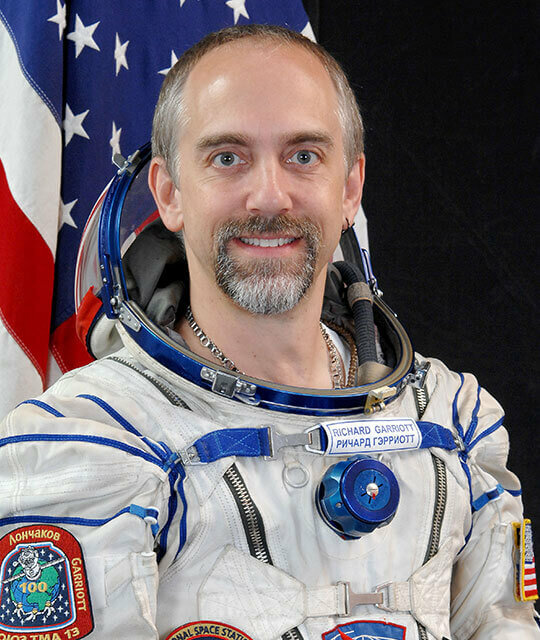 Richard Garriott de Cayeux is a founding father of the videogame industry and the commercial spaceflight industry, a flown astronaut, and an accomplished explorer. He has been inducted into the computer gaming hall of fame and has received the industry lifetime achievement award. 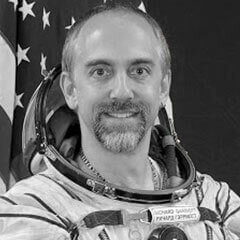 He is credited with creating the now ubiquitous term “avatar” for one’s virtual self and the category of massively multiplayer games (MMORPGs). 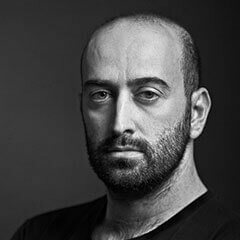 Iván Fernández Lobo is a creative technology specialist with a deep understanding of the gaming/entertainment media business. 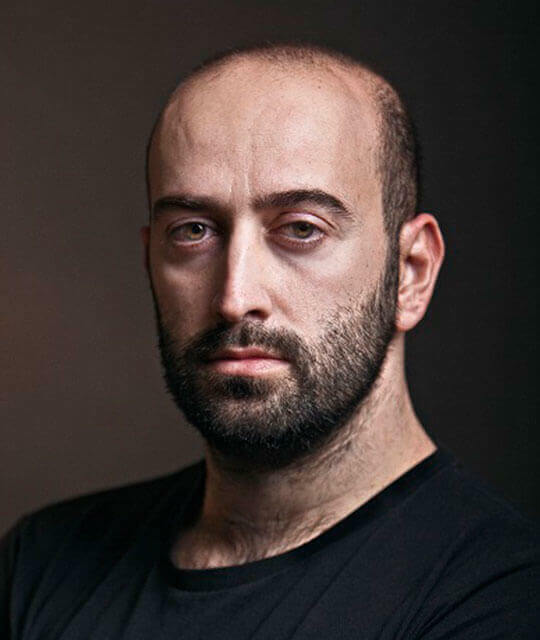 Ivan has worked as an academic / researcher in the fields of Computer Graphics, Human Computer Interaction and Virtual/Augmented/Mixed Reality for over 15 years, advising and collaborating with a good number of innovative gaming related organisations, companies and startups, and creating one of the first ever location based gaming experiences on mobile devices back in 2003. You've got questions and we have answers. Is NEVERDIE A New Blockchain? No. Currently NEVERDIE Coins and Teleport Tokens exist within the Ethereum Blockchain (ERC-20). The NEVERDIE Ecosystem is designed to easily port over to other blockchains as the technology develops. Why Would Other Developers Use The NEVERDIE Ecosystem? The NEVERDIE Ecosystem offers additional value to their players by instantly providing intrisctic value to their current gameplay. It also instantly connects their games to a robust decentalized global community. 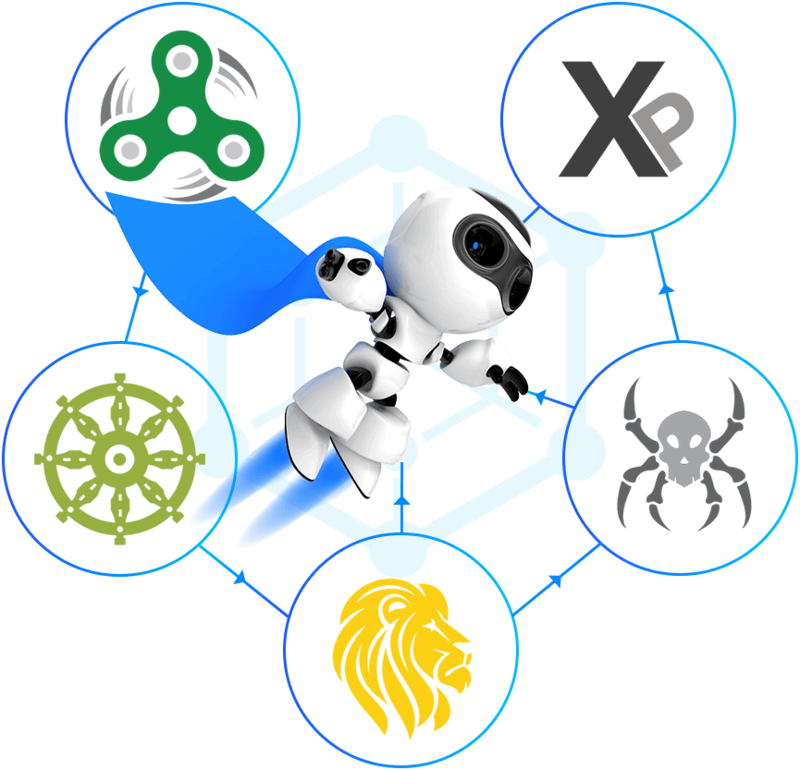 NEVERDIE develops the API & SDKS to enable developers to quickly link to the blockchain and NEVERDIE ecosystem. NEVERDIE also launches initiatives to drive adoption. Is NEVERDIE A Game Incubator? Yes. NEVERDIE is using portions of the Bonus Sale to incubate a minimum of 20 Games from 20 Indepeendent Developers by 2020. Why Are There 2 Tokens Instead of 1? How Many Tokens Will Be Consumed In An Average Day? We estimate that by 2030, over 10 Billion tokens will be cycled everyday based on 30% of the gaming market share. Over a billion users playing and marking money participating in the Ecosystem. Each player will use on average 10 coins a day. Games will be able to offer players immediate acces to decentralized tokens but these tokens will acquired by the game developers through our API from the open market. These tokens will be automatically priced above the market price like any retail purchase. To reduce the cost of play, players can buy tokens directly from exchanges and other decntralized transfer outlets. Players can also win, earn or mine tokens for their own use or to trade for profit. As the ecosystem grows, demand will increase and labor costs to acquire tokens will factor into the market price. How Will You Address The Cost Of Inflation? As the demand of token increases and the market price rises, the cost per use will be reduced via the API automatically to maintain a pratical price point without damaging the market. How Will Determine The Balancing For The Cost Per Use? As the community grows, a decentralized elected government will be established to oversee the balancing & present changes to the community to vote on democratically. How Many Tokens Will Exist In The Ecosystem? At the launch of the NEVERDIE Wallet there are 2 Utility Tokens, 10 Fund tokens, 21 Skills & Attributes and 4 Critical Inventory Items. The inventory items will grow exponentially as more games are developed. The core skills and attributes will remain at 21 unless through popular vote more skills and attributes are voted into the system. Why wouldn't Developers Use Their Own Tokens? The gaming market is oversaturated making games overly disposable. By focusing on game design VS economic balancing of attributes, skills and inventory, games will have greater longevity as part of a univeral ecosystem. What Gives You The Confidence You Can Balance The Ecosystem? 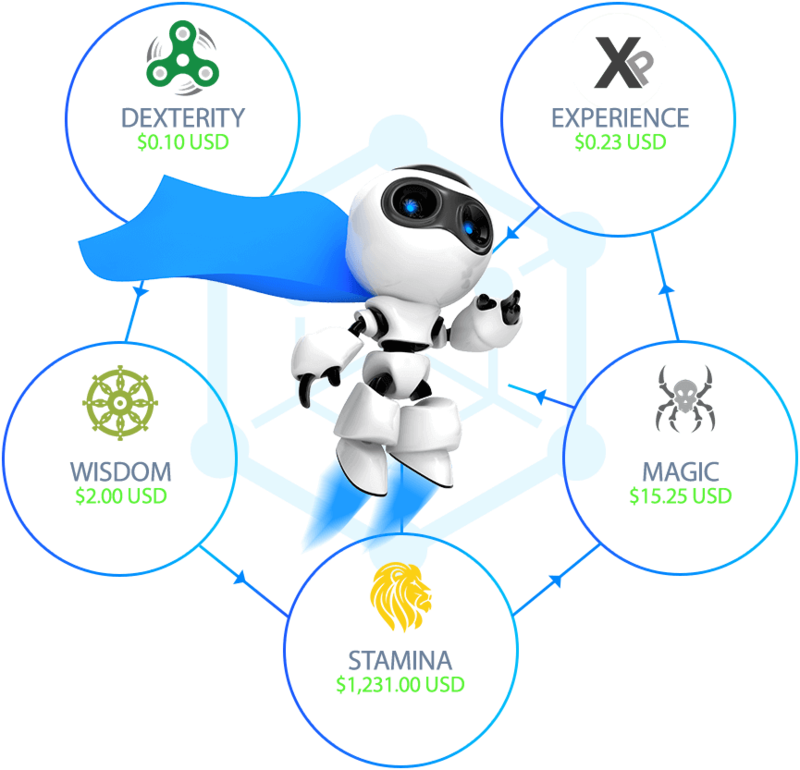 One of the main objectives of the NEVERDIE Ecosystem which can be explored further in the White Paper to create gamified jobs starting at a minimum wage of $0.20 USD per hour. The entire ecosystem is balanced with this consideration as the fundamental ideology. Our advisory board are responsible for some of the most important economic milestones in gaming history with decades of experience balancing skills, attributes and inventoy within games. Are NEVERDIE and Teleport Tokens Securities or Utility Tokens? A full legal review of the NEVERDIE White Paper was conducted by Empire Global Partners Law Firm and has determined that they may not satisfy the characteristics of a security under United States Law. Neverdie and Teleport Tokens are utilities. In the first game launched within the NEVERDIE Ecosystem fully illustrates the case in point.